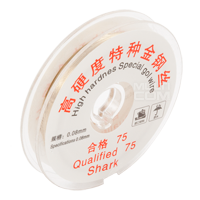 Molybdenum Cutting Wire 0.06 for LCD sepearator - 10m it's ultra thin (0,06mm) and durable cutting wire that are specially suggested for use with LCD seperator (glass with LCD seperate). 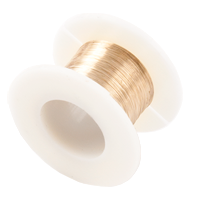 This small wire allows for more that +20 repairs. High Hardness Molybdenum Cutting Wire for LCD sepearator - 0.10mm/100m is a special version of molybdenum wire with high strength (High Hardness). 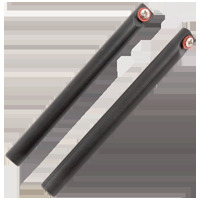 Specially suggested for use with LCD seperator (glass with LCD seperate). 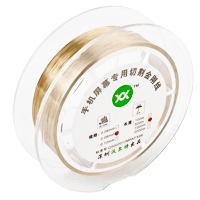 This small wire allows for more that +50 repairs and according to manufacturer has twice the strength of standard wires found on the market. Hermetically packaged. 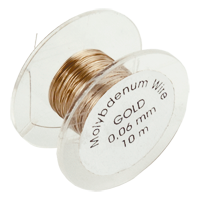 Holder set for the molybdenum wire allows for easy mounting and running the wire during the process of removing broken glass from device. 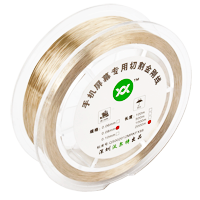 Molybdenum cutting wire for LCD sepearator High Hardness - 0.08mm/100m is a special version of molybdenum wire with high strength (High Hardness). Specially suggested for use with LCD seperator (glass with LCD seperate). 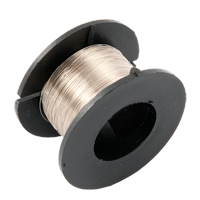 This small wire allows for more that +50 repairs and according to manufacturer has twice the strength of standard wires found on the market. Hermetically packaged.